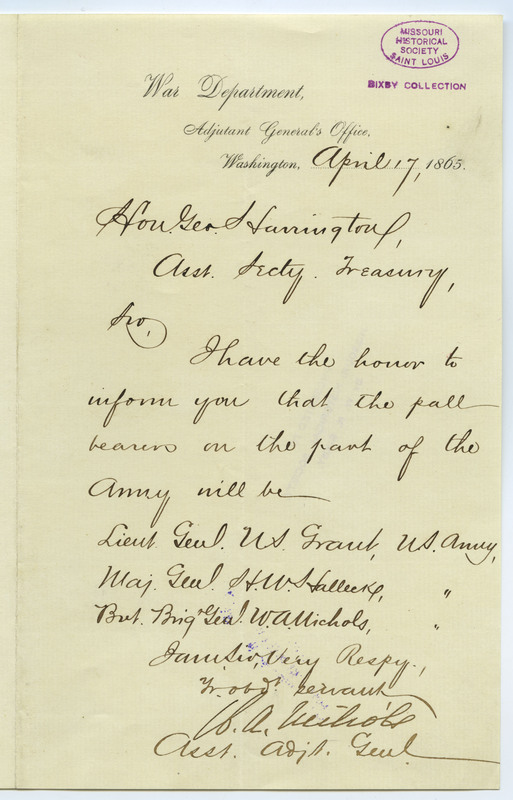 Informs Harrington that the pallbearers for Lincoln's funeral from the Army will be U.S. Grant, H.W. Halleck, and W.A. Nichols [himself].